Posted on 02/06/2019 by Mark Engleson	in Live Review and tagged Americana, Ari Strauss, Australia, Kasey Chambers, The Birchmere. “I’m starting to think I play more here in this venue than in my hometown,” said Australian country singer-songwriter Kasey Chambers Tuesday at The Birchmere, after she and her Fireside Disciples played “Not Pretty Enough.” Kasey praised The Birchmere, saying that it felt like home — and expressing special appreciation for the venue allowing artists to use its washing machine. Posted on 01/24/2019 by Parklifer	in Preview and tagged Australia, country, Kasey Chambers, The Birchmere. 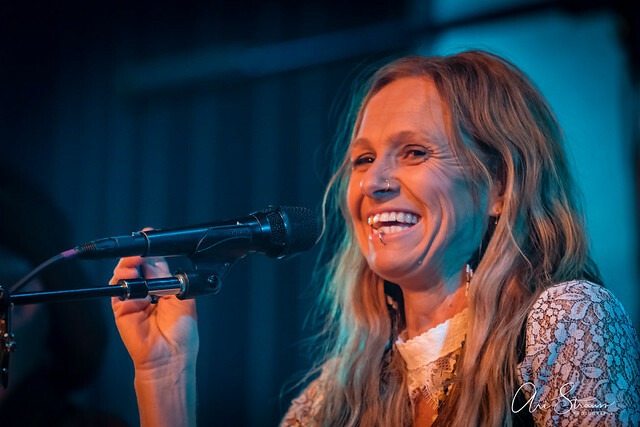 Australian country singer-songwriter Kasey Chambers released Campfire, her 12th studio album, in April via Warner Bros. She’s on tour again with a visit to The Birchmere on Tuesday, Feb. 5.